Select the User names who can use VNC. Select what operations they are allowed. Enable VNC, and give it a PASSWORD. 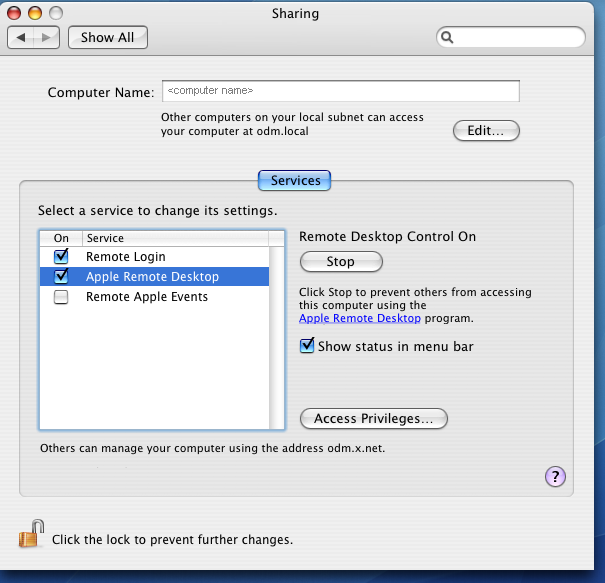 Then the Mac OS X Server is ready to receive a VNC connection from a VNC Viewer Client. 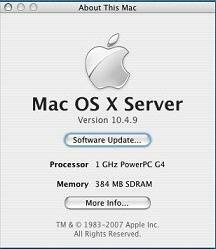 There are probably any number of VNC Clients that will connect to this MAC OS X Server which will now act as a VNC Server. I understand the new Microsoft Vista OS has a built-in VNC Client, but I have not used this connection. UltraVNC has a 'VNC Viewer' that runs in Windows, that connects easily to this Mac VNC Server.